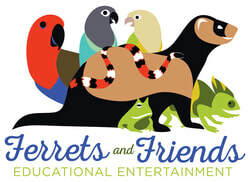 Ferrets and Friends, LLC provides educational entertainment with live animals for school programs, summer camps, children's parties, and community events. Not only do we have reptiles, amphibians, and invertebrates, but we also have small mammals and parrots! 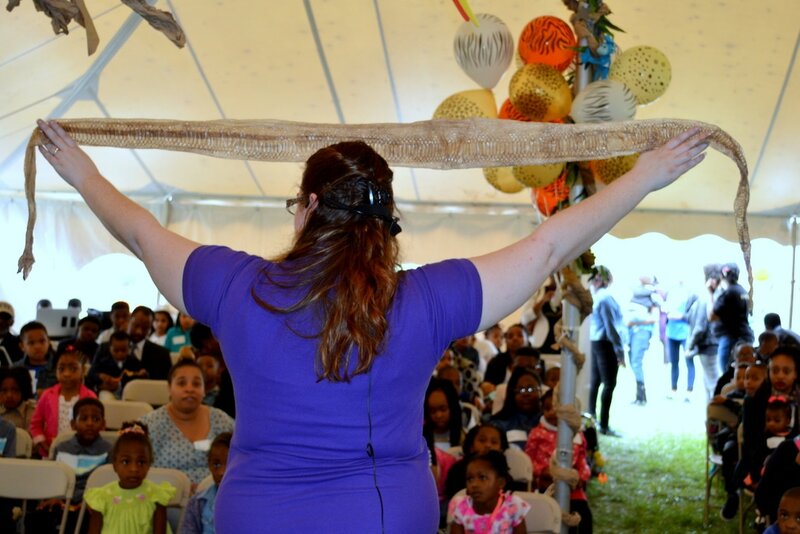 We are able to provide educational shows for large audiences, more interactive shows for small groups, and "meet-and-greet" interactions for less structured events. We value the physical, emotional, and social well being of each of the animals in our care. We require each of our animals to have an annual veterinary exam for approval for their participation in shows. We maintain the standards required by the USDA for our Class C Exhibitor License in accordance with the Animal Welfare Act. We do not hire independent contractors as animal educators. All of our employees complete the required background check process and are experienced in working with animals, including people! We travel to Northern Virginia, Maryland, Southern Pennsylvania, and Washington, DC. Additional travel fees may apply to events outside a 25 mile radius of Baltimore. Feel free to contact us for a quote for your event! Make your classroom more hands-on with a visit from our special friends! We have provided lessons about invertebrates, birds, pond life, dinosaurs, the rainforest, international diversity, native wildlife, and more! If you have a specific topic that you would like us to address, we are more than happy to customize our program for no additional cost! ​Ask about our multi-presentation discount for schools and summer camps! Invite our special friends as guests to your child's next party. 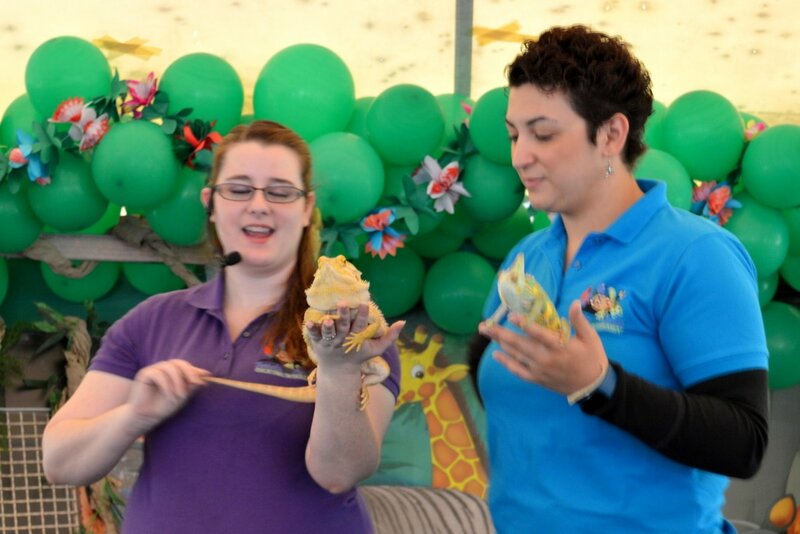 There's nothing like a live animal show to make your child's event extra special! We also offer a "photo time" package so that you can get those memorable shots. Planning a community event can be a daunting task! Make your event a smash hit with a live animal show or request our presence by the hour for your guests to interact with live animals at their leisure. 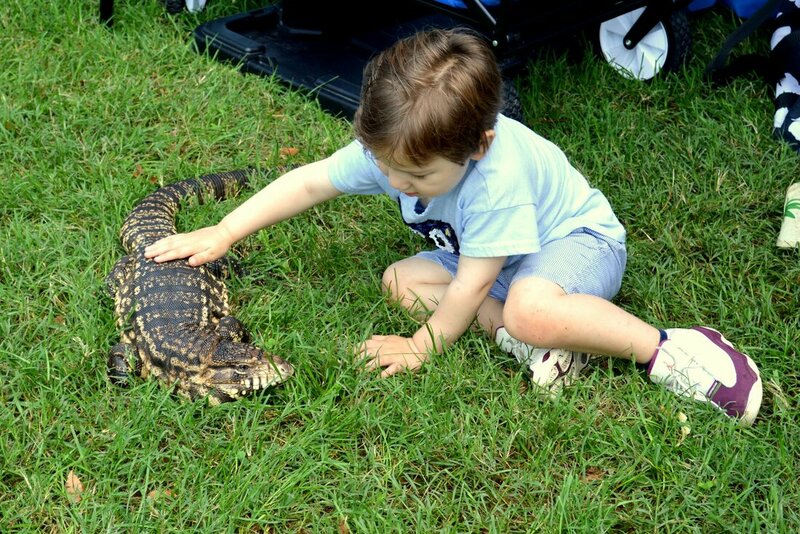 Our reptiles love sunny outdoor events! Everyone loves to take a selfie with a parrot! If you have an indoor location, request our parrots for some memorable pictures that your guests will be talking about for months! What can your child learn from Ferrets and Friends? Bring the wonder and excitement of live animals to your next event!